Here at Biblical Truth we do not watch the news. Our family has come to the conclusion it is quite horrifying. With the recent events in Connecticut we have seen some things on television about the tragedy. We first would like everyone to know that Yahweh IS with us. HE hasn’t left us. How do we know that you might ask! We know that because once you have the Ruach HaKodesh inside you will continue to be led towards The Light (John 8:12). What the people experienced in Newtown, CT was pure evil. This kind of evil exists everywhere. Evil is at our very doorstep trying to get in our homes and break up marriages. Evil is at our very doorstep trying to make us stray from HIS commands and precepts. Evil is all throughout the world spurning wars and creating hostility between all nations (Matthew 24:6-8). Evil will never go away until Yeshua comes to claim us. If you shut out the evil it will move along to the next person until somebody allows that evil to enter them. Those are the people we, as Christians, must pray for, find, and preach the Gospel to. Those that allow the evil in are also victims. They have just succumbed to the thought that life without rules, laws, or consequences is a better life. They have succumbed to the very persuasive Adversary. The demons inside of them make them sick and there is only one that can heal us when the demons have entered into us (Matthew 8:31-32). We have to realize that these demons come in many forms. Some demons manifest themselves as addictions. Some demons that make us think there is no Elohim. Then there are other demons that convince people to be violent and end the lives of Yahweh’s creation (Genesis 1:27). While every single fiber of us wants to hate the person that did this to those people, the Ruach HaKodesh has spoken to us and wants us to realize that evil triumphed inside the shooter and that evil will try to find it’s way into our lives. It is a constant battle and we must study the scriptures to learn how to avoid it infiltrating us. It lurks around every corner we turn and every path we take. If we stay true to the path of Yeshua we will be rewarded (Psalm 119:1). In this world there is no way anyone can prevent everything from happening at all times. The preemptive strike needed would be to lead our entire nation to Yahweh and let the Ruach HaKodesh fill their lives with The Light. We have to figure out a better way to get our Elohim’s message out there. We are the only religion in the United States that is becoming taboo to talk about. If you look around our country Christianity is being attacked. It isn’t okay to try to demand Muslims, Hindus, or Buddhist don’t express there god or belief system but it is becoming normal to tell Christians we must not talk or express anything about our Elohim. We are not unified as a religion. That is one reason we started this website. We want to spread the TRUTH without the man made traditions that are being taught. 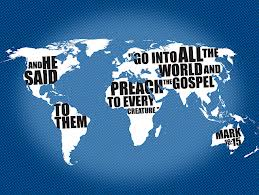 Our job as believers is to try to spread the Gospel to all so everyone becomes a believer. When that happens there will one day be peace on earth (Matthew 24:14). Yeshua will return and HE will avenge the death of every single adult and child that died a few days ago (John 5:28-29). We weren’t involved in the senseless massacre but we haven’t stopped crying for 3 days. We have just prayed. We can’t even imagine what those affected are going through and this includes the families and the first responders that had to see and clean up the aftermath of this horrific event. We all hope that our Elohim will find those broken spirits and insert HIS Ruach HaKodesh into them. There is no better gift in this world than to be given HIS Set Apart Spirit to lead us. Our hearts are heavy for those involved. Bo Yeshua (comes Yeshua) and heal the wounded in Faith. This entry was posted in Misc on December 18, 2012 by Biblical Truth. I have a close friend of mine that spoke on this issue this past Sunday He brought up very good points with the names of Jesus (Yeshua, Immanuel). “Why did God allow this?” is a question that everyone has or will ask themselves at some point. The action last week has left that thought on many hearts and minds. The answer is not easy. We don’t know. We are not God and while in earthly form, will never know the reasons behind the unknown. However, within the names He provided to His Son, we find that we are never without Him and He is present in everything. 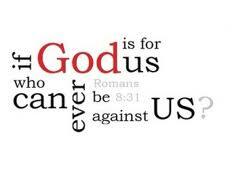 So, even in the face of evil, Our Lord Saves and God is With Us.